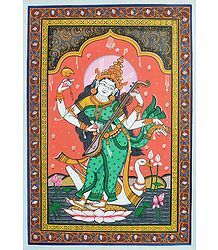 Saraswati is a Hindu goddess of learning. 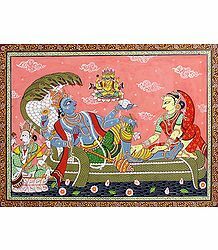 Saraswati is regarded as the Goddess of knowlede and the arts. 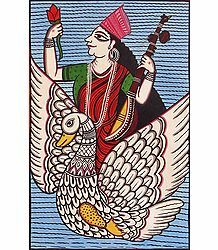 Saraswati represents consciousness and wisdom. 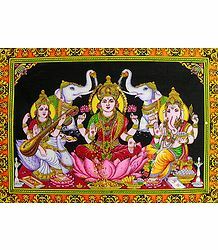 Saraswati is also regarded as Vakdevi, the goddess of sound and speech. 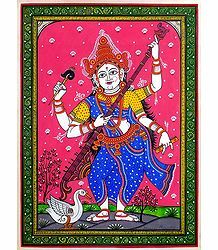 Saraswati is revered as the dispeller of chaos and confusion. 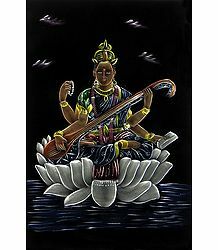 Saraswati is depicted as clothed in white, seated on a white lotus playing the instrument veena. 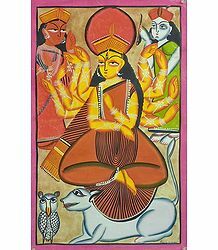 Her origin is the lost Vedic river Saraswati. 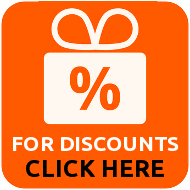 Saraswati is worshipped as the consort of Bhrahma the creator.